Live. Love. Michigan. supports local nonprofits by designing and selling apparel. After a two-week campaign, Lansing-based startup Live. Love. Michigan. raised enough money to send 2,900 meals to local families through Feeding America West Michigan Food Bank. Through its Hold on to Hope campaign, the company designed a line of shirts, sweatshirts, pullovers and tank tops expressing the core themes of Feeding America West Michigan’s mission. Fifty percent of each sale was donated to the Food Bank. Over the next year, Live. Love. Michigan. will design more apparel for the organization, donating 25 percent from each sale. A new campaign for the Baldwin Center in Pontiac began on Monday. To learn more about Live. Love. 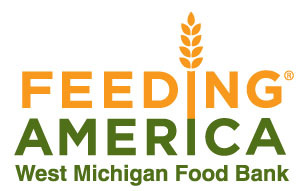 Michigan., to view the Feeding America West Michigan collection or to nominate a nonprofit, visit holdontohope.org.